I've never see anything like this. These rescuers are heroes! They were on their way to a meat market.. 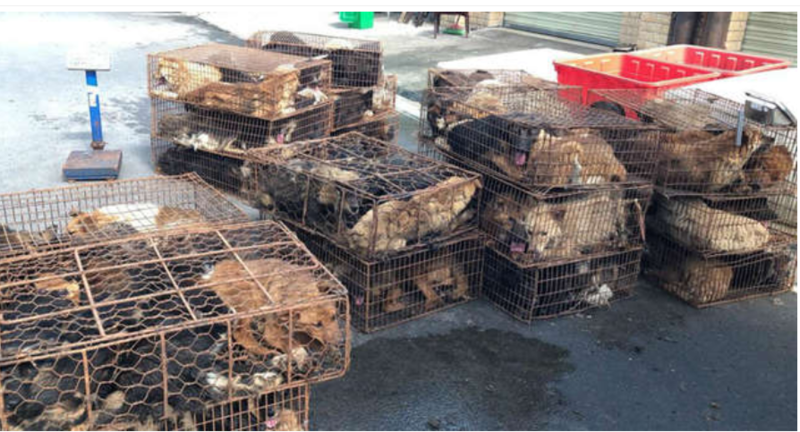 According to the Humane Society International (HSI), China is believed to be responsible for the deaths of more than 10 million dogs who are slaughtered for human consumption annually. The majority of the dogs in the meat market are actually stolen pets and strays, who were grabbed from the street or from backyards. They are sometimes poisoned to ease their capture and are crammed together into cages which increases the risk of being sick or injured. 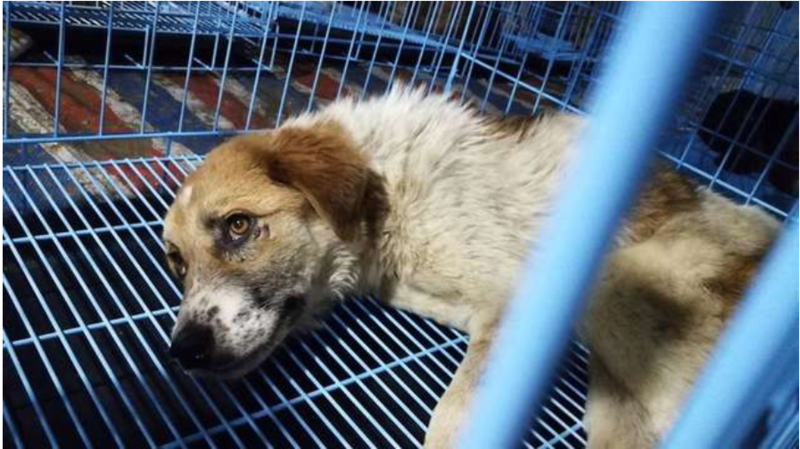 Many of these dogs die from shock, suffocation, dehydration or heatstroke long before they reach the market. The surviving dogs face a brutal and terrible fate of getting either beaten to death or boiled alive for their meat. In July last year, more than 200 dogs were on their way to a Chinese meat market on a truck for slaughter. When the truck passed through Hunan, local HSI activists managed to stop the truck and contacted local authorities for help. 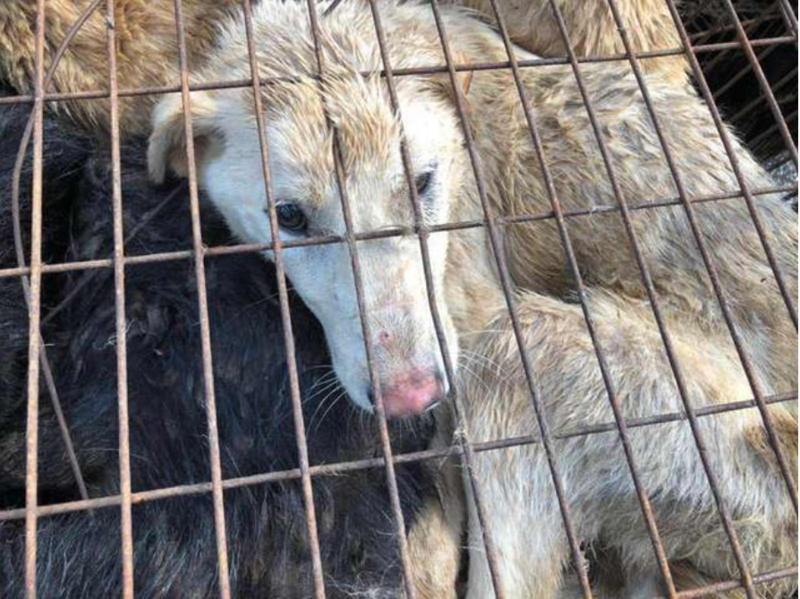 Not long after the authorities had arrived, the dogs were handed over to the HSI rescuers as the driver could not prove that he owned the dogs. 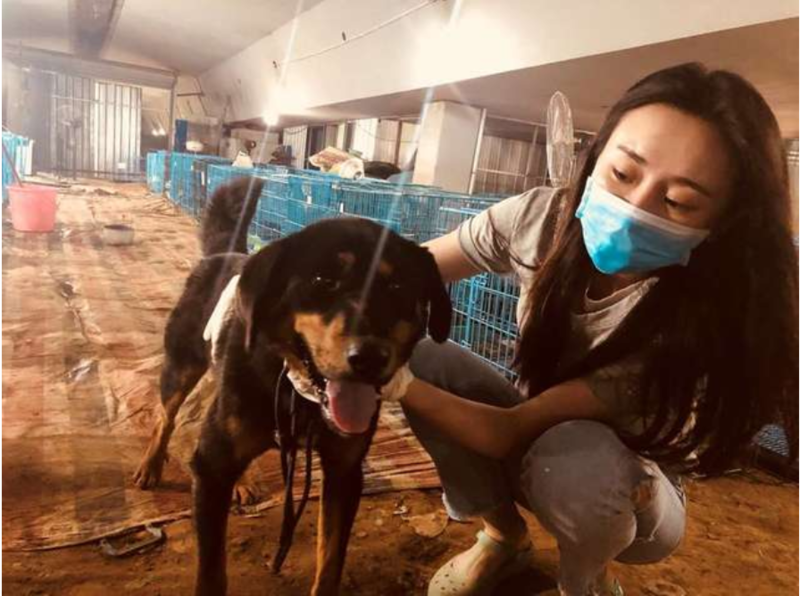 Rescuers quickly moved the dogs to multiple local animal hospitals and rescue facilities, including a shelter operated by HSI, to begin their second chance at life. Due to being forcefully crammed into tiny cages, many of the dogs suffered from wounds and broken bones. Some were also riddled with flies and maggots, or diagnosed with canine distemper. Unfortunately, 13 of the dogs passed away shortly after the rescue due to their ailments. Despite the abuse they have suffered, the dogs were still very friendly and warm to their rescuers. In China, only 20% of the population consume dog meat, but this is more than enough for this cruel industry to remain in business. Thanks to the HSI, these dogs now recovering under their care and will be going to adoption events to find their forever families. To help support the dogs’ continued care, you can make a donation to Humane Society International.